Where to stay in a private room when you’re a backpacker? We have split this article into the different accommodation types, hostel, motel and hotel, then outlined the pros and cons to each scenario: solo travelling, couples and groups travelling. All these will influence your choice mainly determined by budget. So take a look at our advice below on staying in a private room: hostel, motel or hotel? When having a private room in a hostel, you are likely to have a shared bathroom or ensuite. You will share kitchen facilities, laundry and a communal living area with other guests. All in all, the “private room” in a hostel is the only privacy you will get. More information is at What is a Hostel? A Beginner’s Guide to Backpacker Hostels. Motel private rooms usually come with an ensuite bathroom and self-catering options, whether it’s a private kitchen or a shared kitchen with other guests. Tea, coffee and a kettle are the usual basics in a motel room. There are more likely to be a wider selection of private rooms on offer in a motel than what is found in a hostel, for example, single, double, twin and family rooms. Hotels often have more luxurious amenities, such as a swimming pool, restaurant, bar, etc. However, self-catering is not often an option. Private rooms in hostels mostly come in the form of a double room. Other private rooms might also include single rooms, twin rooms and family rooms. 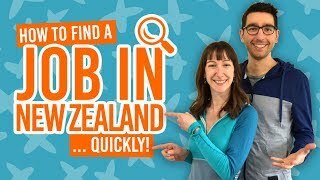 Pros – Along with single rooms in a motel, single rooms in a backpacker hostel are the cheapest for of single room you’ll find around New Zealand. Cons – Single rooms are not available in many hostels in New Zealand. You are more likely to get a better deal from a single room in a motel where more private amenities are likely to be on offer. Pros – With double rooms almost being a standard for backpacker hostels, it is extremely easy to find double rooms as a couple. Twin rooms are almost as easy to find. Often, the twin rooms and double rooms in hostels are marginally cheaper than motels. Cons – Amenities are likely to be shared with others (if that bothers you). Motels might give you more for your money. Pros – It is likely that you will be able to book out a dorm, which when split between all members of the group, works out to be as cheaps as paying for a single bed in a dorm room (NZ$20-$35 each). 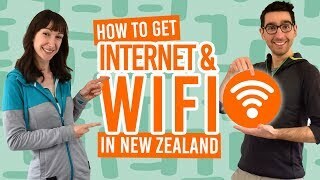 Some hostels have family rooms usually working out to NZ$170-$180 for four people. Cons – Booking out a dorm may be tricky in the high season. Very limited hostels have family rooms. Motels are essentially made up of private rooms, so will find a selection of single rooms, double rooms, twin rooms and family rooms. Pros – More cost-effective than a private single room in a hostel. You are likely to get your own self-catering amenities to have a truly private experience. Cons – Self-catering amenities might be limited with some motels only having a kettle and microwave. Check it out before you book. Pros – You’re likely to get more for your money in a motel. Although marginally more expensive that a hostel, you’re likely to get your own self-catering amenities and ensuite bathroom for a true “private” experience. Pros – Family rooms are often standard in motels so you shouldn’t have much trouble finding a private room. You’re likely to get your own self-catering amenities and ensuite bathroom for a true “private” experience. Cons – Much more expensive than booking out a dorm in a hostel. Pros – A real treat-yourself experience. The price is likely to reflect how luxurious your room is. There may be other fun amenities like a swimming pool, spa pool, TV, etc. Single rooms are plentiful in hotels, so availability is not likely to be an issue. Cons – A disaster on the backpacker budget much higher nightly prices than motels and hostels. You are likely going to have to eat out due to the lack of self-catering amenities. Pros – A good option for a more luxurious or “romantic” room. There may be other fun amenities like a swimming pool, spa pool, etc. Double rooms and twin rooms are plentiful in hotels, so availability is not likely to be an issue. Cons – A disaster on the backpacker budget due to much higher nightly prices than motels and hostels. You are likely to have to pay to eat out due to the lack of self-catering amenities. Pros – A good option for a more luxurious room for your group. There may be other fun amenities like a swimming pool, spa pool, etc. Family rooms are plentiful in hotels so availability should not be an issue.